"There are people that don't realize that keeping old makeup around can cause more pain than any visual pleasure. It can actually either worsen any skin disease or even cause skin issues". Old makeup can host bacteria, cause infections and therefore damage your skin. They are breeding grounds for weird eye infections like sties and pinkeye. Generally, makeup products that contain water such as liquid eyeliner, liquid foundation, have a higher probability of breeding bacteria than powder products. It is advisable that you keep your makeup in a cool, dry place since warm environments increase the chances of bacterial growth. Unfortunately, there are no regulations on makeup expiry dates, but there are certain things that should help you know whether your makeup is bad. If you have recently been Sick or had an Infection. This does not mean that you throw all your makeup away immediately you experience a common cold. 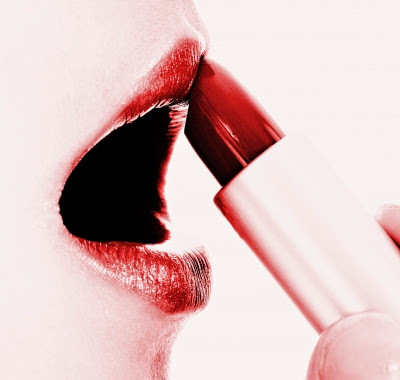 But if there is a possibility that your makeup may have been infected by you, for instance, if your lipstick had contact with your cold sore, you should definitely toss it. New makeup products usually have that attractive scent. From the moment your products start smelling different, it is advisable to throw them away. Old lipstick for example, smells like stale oil. If you ever notice that your foundation is off your skin, then the product is either going haywire or you got a tan. If there is color inconsistency, then get rid of the makeup. Also say goodbye to that clumpy and gooey lip gloss or that foundation that is separating. If your cream blush feeling on your cheeks is no longer like whipped mousse anymore, then it is a high time you get rid of it. Do not wait for your makeup to visibly curdle out for you to switch it. It is advisable to use a personal tossing timeline. But if the budget is very tight, you can cling on to those makeup items for an extra month. After 2 months: You should get rid of that mascara. It may hurt to do this especially if you use the high-end mascara, but it is the right thing to do. It is a high time you switch to cheaper makeup such as Maybelline Great Lash or live with the costs. After all, healthy eyes are better than thick eyelashes. After 3 months: Around this time, you should get new gel or liquid eyeliners. Just like mascara, the brush is ever transferring bacteria from the eye and back to the warm. After 6 months: There is always a disagreement on exactly when you should throw away your eyeshadow. People think that since it is a powder, it is supposed to last forever, but it is a great risk of contamination since it goes right by your eye. After 6-12 months: By this time, you should not be having liquid foundation, facial serums, face screams and cream blush. Any product that is applied with your fingers has a high risk of contamination since your fingers carry bacteria. After 1-2 years: This is the stage where you toss nail polish, lipstick, lip gloss, powder foundation and powder blush. Always keep an eye on your makeup for any change in scent or color. In conclusion, makeup sharing is not caring, do not even think of lending your makeup to your friend. This also goes to the generous people who are always donating makeup products to local village discounts.